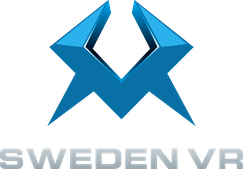 the 2018 Sweden VR contest. aim to boost and showcase the enormous potential of the new technology. Talents, worldwide, will have the opportunity to express their creativity, win prizes and have fun while supporting ecological sustainability and contribute to the worlds VR/AR SDG Library. The contest has a focus on nature experiences and the United Nations seventeen sustainable development goals (SDG) Sweden VR is also a global community for VR/AR developers. Sign up for newsletter and free beta version of VR/AR community platform. Create the best 360° video experience in VR with a theme based on one of the United Nations seventeen sustainable development goals. Create a captivating augmented reality (AR) experience with a theme based on one or all of the seventeen UN's Sustainable Development Goals. Develop the best interactive VR nature experience for an area of 2 x 2 meters. Develop the best 3D nature experience for mobile VR. The international VR/AR contests, launched by Sweden VR and supported by HTC Vive Lab initiative, SIDA and Massive Entertainment, aim to boost and showcase the huge potential of the new technology. Talents, worldwide, will have the opportunity to express their creativity, win prices and have fun while supporting ecological sustainability. "Virtual reality offers us the ability to step into our dreams and fantasies.